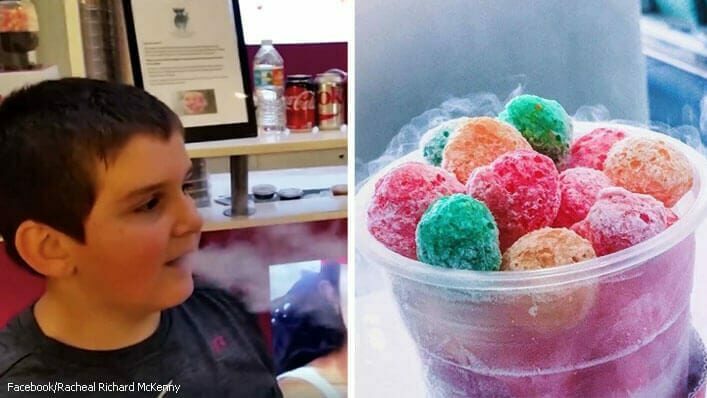 Dragon’s Breath cereal balls, are 2018’s latest snack craze. 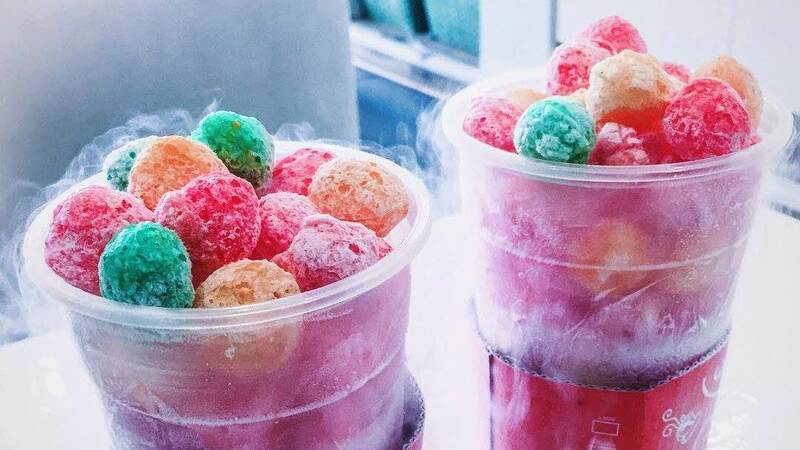 The treat is essentially a “dessert cereal snack that tastes like Fruit Loops dipped in liquid nitrogen,” according to Today.com. While it may sound like all fun and games, Florida mother Racheal Richard McKenny is all too aware that these snacks can be downright deadly. In an attempt to make other parents aware, she shared her frightening mall experience with her son Johnny in a viral Facebook post that has since been shared nearly 100,000 times. I want to share Johnny’s story with everyone to serve as a cautionary tale in hopes that it could prevent this from happening again. 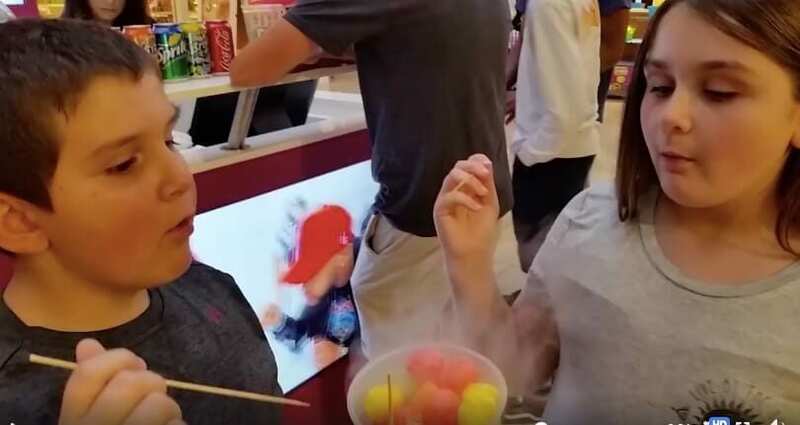 There is a snack served at mall kiosks called ‘Dragon’s Breath.’ It’s a liquid nitrogen infused cereal that, when eaten, allows you to blow smoke like a dragon. Sounds pretty neat, right? There’s also a video that highlights people eating it. The video plays on a TV next to the kiosk and captures the attention of everyone that passes by. Johnny saw it and wanted to try it yesterday. Unfortunately, I let him. As a bit of a history, Johnny has asthma. He has had a prescription inhaler for five years now, but we have rarely had to use it. It stays in my outing bag anytime we are doing something that involves a lot of physical exercise (like walking the theme parks, riding our bikes around the neighborhood, or going to the park) so that we have it on hand just in case of an emergency. We also have a nebulizer machine at home. That machine does get a little use to help clear his lungs whenever he has a bad cold or upper respiratory infection. Even then, the nebulizer only gets used two or three times a year. That being said, I did not have either one of those with us when we went to the mall. It never even crossed my mind that we might need them. I was wrong. We took the kids up to The Avenues mall in Jacksonville yesterday. On our way out, we let the kids split one order of the Dragon’s Breath cereal treats. They had fun and it seemed harmless enough. We left the mall right after that and started the 40-minute car ride home. About 10-minutes into the ride home, Johnny started an occasional cough. Around 20 minutes in, the cough became really consistent. By the time we passed the Palencia sub division, he was coughing so bad that he was having trouble catching his breath. We knew he couldn’t breathe, and we knew that we couldn’t get him to the hospital in time. Thankfully, John knew that there was a firehouse just down the road near the courthouse and the jail. I’ve lived in St. Augustine for more than 25-years and didn’t know there was one there. Please, if you do not know where the EMTs are located in your town, then look it up. We were able to stop at the fire station and the EMTs were able to immediately start Johnny on an albuterol treatment and hook him up to an IV while preparing him for transport. The nebulizer was not improving his breathing at all and, by the time they got him loaded into the ambulance, he needed a shot of epinephrine. Johnny had a second breathing treatment and steroid on the way to the hospital and was doing so much better by the time we got to Flagler Hospital. What triggered this? The liquid nitrogen smoke from the Dragon’s Breath cereal. PLEASE, if you know someone that has even just a mild case of asthma, do NOT let them have this snack. I should have known better, but it did not occur to me that this food could have this effect. As a result, my son could have died. Please don’t make the same mistake I did. Even if I had Johnny’s albuterol, I’m not sure it would have been enough since he didn’t start improving until he had the epinephrine shot. But, it might have stopped or slowed the attack long enough to get to the hospital in time. That being said, if you have a loved one that has an inhaler for any reason, please ALWAYS keep it with you. Maybe that should go without even needing to be said, but it’s certainly important enough to reiterate. Johnny has never needed his inhaler before (even on afternoons where he walks 5+miles in the theme parks), so I’ve never switched it to my purse for simple shopping trips. Again, this was my mistake. Please don’t do that. Johnny is home now. He will be on steroids the next few days and his nebulizer machine as needed, but he’s doing well. Please SHARE Racheal’s important message with the parents you know today. It could save a life! "'Wake Up!! !’ Her Eyes Rolled Back. 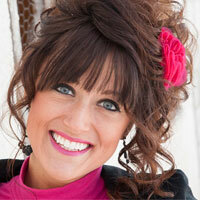 There Was a Gurgling/Gasping Sound...She Was Healthy"